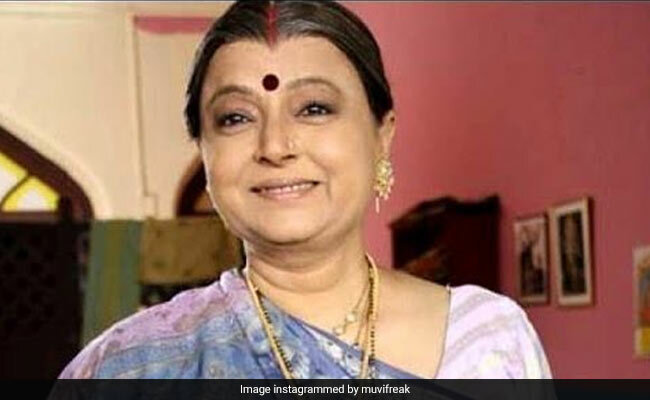 Veteran actress Rita Bhaduri, a familiar face from several films and TV shows, died in Mumbai at the age of 62, actor Shishir Sharma wrote in a Facebook post. Ms Bhaduri was being treated at Mumbai's Sujay Hospital in Vile Parle for a kidney ailment, news agency IANS reports. Shishir Sharma revealed that Ms Bhaduri's last rites will be held at noon. "We deeply regret to inform you that Reeta Bhaduri has departed for her journey beyond. The funeral rites will be held on 17th July, Tuesday at 12 noon at the Cremation Ground, Parsi Wada Road, Parshiwada, Chakala, Andheri East. Extremely sad. Lost a wonderful human being... a mother to many of us... Will miss you Ma," the actor wrote in his post. Rita Bhaduri, who began her career in the late Sixties, had a role in the ongoing TV show Nimki Mukhiya. She appeared in a series of Gujarati and films in other regional languages as well as Bollywood movies such as Virasat, Raja, Hero No 1, Kabhi Haan Kabhi Naa, Kya Kehna and Beta. Ms Bhaduri received a Filmfare Best Supporting Actress nomination for her performance in 1995 film Raja, which starred Madhuri Dixit and Sanjay Kapoor. Her last few Bollywood appearances were in 2002's Dil Vil Pyar Vyar and 2003's Main Madhuri Dixit Banna Chahti Hoon .